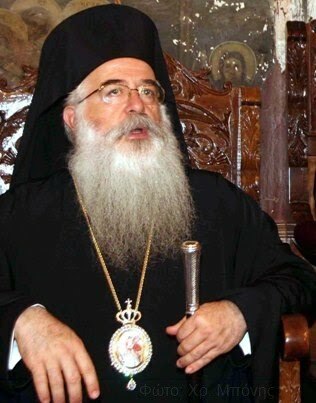 On January 16, 2011 an intense clash resulted in Volos during the Great Vespers service for the feast of Saint Anthony the Great where Metropolitan Ignatios of Dimitriados was serving. During the Old Testament readings of the Great Vespers, the Metropolitan decided to read the portion from the Wisdom of Solomon in the demotic vernacular language rather than the Septuagint original. Immediately people began to shout: "Your Eminence, not in the demotic. Read the reading in the ancient language." This was followed by yelling and tension within the church during the service. The Metropolitan in vain tried to resume the reading. "You must know that some are videotaping at this time in order to create trouble. They want to show there is a reaction", said the Metropolitan over the microphone. He continued: "I must tell you that the texts of the Old Testament are didactic and are not prayers of the Church. I, at this time, have yet to read prayers in the demotic, even though I could have done so as have done other bishops." The voices of the protesters would not cease however. The Metropolitan then shouted over the microphone: "Please do not be agitated, do not be agitated." A priest also standing at the Beautiful Gate then asked the people to isolate these matters and take them outside for the others to worship in peace. The Metropolitan then said that he would read the text in both demotic and ancient Greek, but only during the reading of the demotic did there arise new tensions. On Monday 17 January 2011 the Metropolitan said: "I have great distress. Not so much for those who have for years become familiar with worship and lived and live within worship, in a way that God blesses them. I have great distress especially for young people. It bothers me what church attendance will be like 10, 20 or 30 years from now. What will be the relationship of the youth to the liturgical life of the Church?" He continued: "I share the views of young people who tell me that they do not understand the liturgical language and believe that we have not taught our children to love our language. This language is our treasure. The Gospel was written in it. And we today are losing it, forgetting it day by day. The developments in schools will become even more tragic it seems .... "